This new working paper from The Next System Project was prepared as an invited contribution to the “After Fossil Fuels: The New Economy” conference taking place in Oberlin, Ohio from October 6-8, 2016. In the paper, Next System Project co-chairs Gar Alperovitz and Gus Speth, together with NSP Executive Director Joe Guinan and Democracy Collaborative President Ted Howard, explore the intersections of systemic economic and ecological crisis, and propose that only a break with the mechanisms of corporate capitalism is capable of guaranteeing a sustainable future. Using examples from the burgeoning “new economy” as a guide toward the outlines of a true systemic alternative, they also suggest that new systemic understandings of monetary policy could be instrumental in the near term efforts vital to keep enough carbon in the ground to forestall catastrophe and create the window we need to scale up the elements of the next system. 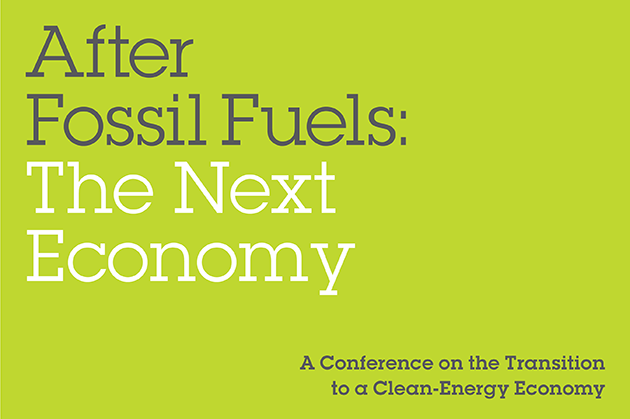 More information about the conference, which also features Bill McKibben of 350.org, Tom Steyer of NextGen Climate, and former California governor Arnold Schwarzenegger, and which will be livestreamed, can be found here.